This is Tiga’s second LP and I am loving it, different than the first one of course. 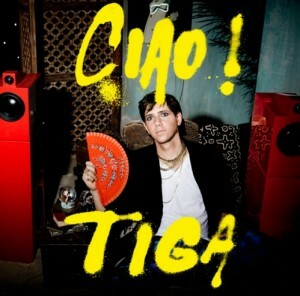 Tiga is a producer/DJ from Montreal, Canada. Tiga is widely known for his remixes: Tomas Andersson’s “Washing Up”, Scissor Sisters’ “Comfortably Numb” and Felix da Housecat’s “Madame Hollywood” but also for his covers of Nelly’s “Hot in Herre” and Corey Hart’s “Sunglasses at Night”. He produces his own material, but has also worked with Zyntherius, Richard X and Jake Shears from Scissor Sisters. Phew. I’m glad you were able to cover this topic after all. Time to get back and do some more research.